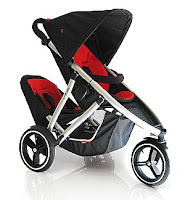 honey and the dude: Bye Bye Bugaboo or Buggy Board?? Bye Bye Bugaboo or Buggy Board?? Until recently we have been set on doing what most mummies in Surrey do past one baby and getting a Phil & Teds double buggy. Everywhere I turn these nifty little three wheelers are running over my toes whizzing around in front of me, bags and babies flying. Seems the Phil & Teds is the natural progression from one to two, especially with the ingenious cocoon to keep the baby snug and asleep. However, in a month of frugality and thriftiness I have been wondering about whacking a Bugaboo board on the back of our Bugaboo Chameleon (which I love) and making do or just using a sling for no. 2? Honey is at the stage where being clipped inside a buggy is her idea of hell, she'd rather be on the loose running away from me at every possible opportunity. So this could be the answer. So I've been looking into slings as well. I used a Babybjorn with Honey, which although hugely popular, was terrible for my back. I also felt it wasn't the best positioning for the baby; either facing you, so she'd have no view and get you and her roasting hot in a nano second, or facing outward where she just dribbled everywhere and made my back ache like nothing else. Then a gorgeous friend of mine lent me her Babasling. 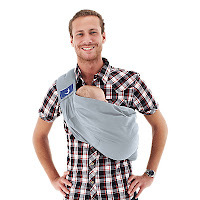 This hammock style sling has five different carrying positions, including breast feeding, and is meant to be super quick and easy to use. I have a feeling this is going to come in really handy. So the jury is out on baby transportation, I'll just have to see how things pan out. I will keep you updated. *What is your mode of transport of choice? Any tips over one baby, and is the Phil & Teds double buggy any good?? My little two are 20 months apart. We went with the double but a Out n About Nipper double, side by side, as I don't like the thought of one being under the other. It has been great, we got it off ebay knowing we wouldn't use it a great deal as the older one would be wanting to walk. It is still used occasionally on long walks but usually we have the single and buggy board or this week we did the single and a grab loop for older one to hold onto which was fab! Ok.I could write a whole post as a response here. My son was 2 when the baby was born and I bought an icandypear as I didn't feel he could stay on a buggy board reliably, especially on the school run. 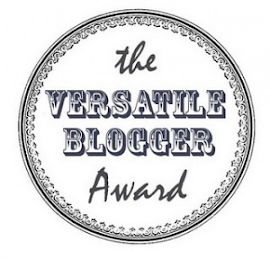 Its been a god send and I really couldn't have done without it. Now 3months later I am selling as he is ready to have a buggy board. 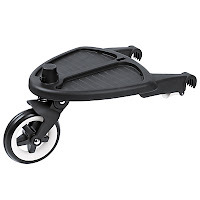 I am looking to get a bugaboo cameleon with a buggy board. I'm also getting a revelo kid sit seat which fixes on the board so he still has a seat if he gets tired with standing. So I would recommend a double but with a view to switchin to the buggy board when older? At least that what I'm doing!